FAST settlement: Get paid to your nominated account in as little as 1 business day. EASY setup: Start transacting sooner with eWAY in just a few clicks. HELPFUL: Access 24/7 phone, email, and live chat support. HUMAN: Our local team of payment experts work around the clock. Advanced Fraud Prevention: Get real-time fraud monitoring on all your transactions. Detailed Reporting: Plan your next move with access to transaction reports in our MYeWAY Dashboard. Developer friendly: Our RapidAPI and Developer friendly tools let you fully customise the checkout experience to convert more sales. Reduce PCI Compliance: We help to secure your payments and reduce PCI compliance scope with our innovative payment technologies. eWAY helps business to accept online credit card payments easily and securely so they can grow their business fast. ONE-OFF PAYMENTS: Start accepting one-off payments from your customers securely via any major credit or debit card. PRE-AUTH PAYMENTS: Allows merchants to authorise, or reserve an amount on a customers credit card and capture it at a later time. This is handy if you need to check stock before billing, or capturing payments after you provide a service. MULTI-CURRENCY PAYMENTS: Accept additional currencies and charge in your customer's native currencies, helping you expand internationally and tap into lucrative overseas markets. Online Credit Card Fraud is a GROWING problem and one that cost online retailers billions of dollars each and every year! This is why eWAY built Beagle to help sniff out fraudulent transactions, and better protect your hard earn dollars. There are 3 tires available that are designed to be simple, accessible and affordable for any merchant, in any industry. BEAGLE LITE: We offer every eWAY merchant a FREE tool that provides 7 separately configurable rules that allow you to automatically block, flag and alert you of any suspicious transactions based on risk settings. 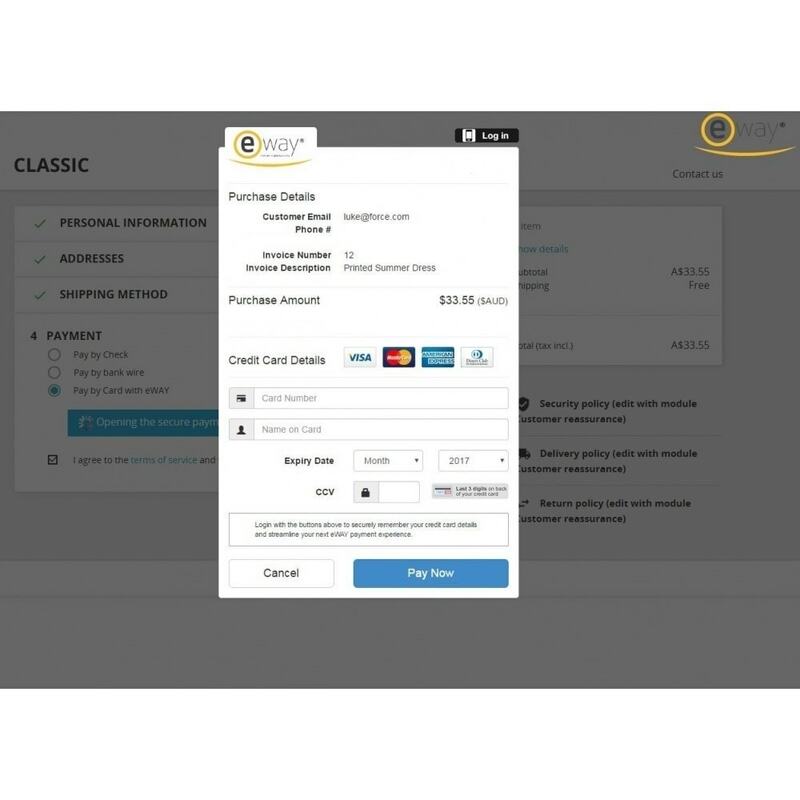 BEAGLE ESSENTIAL: Designed for fast-growing online businesses, Essential offers merchants additional enterprise-level tools targeted at stopping fraud specific to their industry, matching cards to a global fraud database and offering more detailed reporting on suspected fraudulent transactions for risk teams. BEAGLE ULTIMATE: A comprehensive, tailor-made solution including custom rules, advanced machine learning algorithms and dedicated fraud prevention teams who will help you build a solution designed for your business. 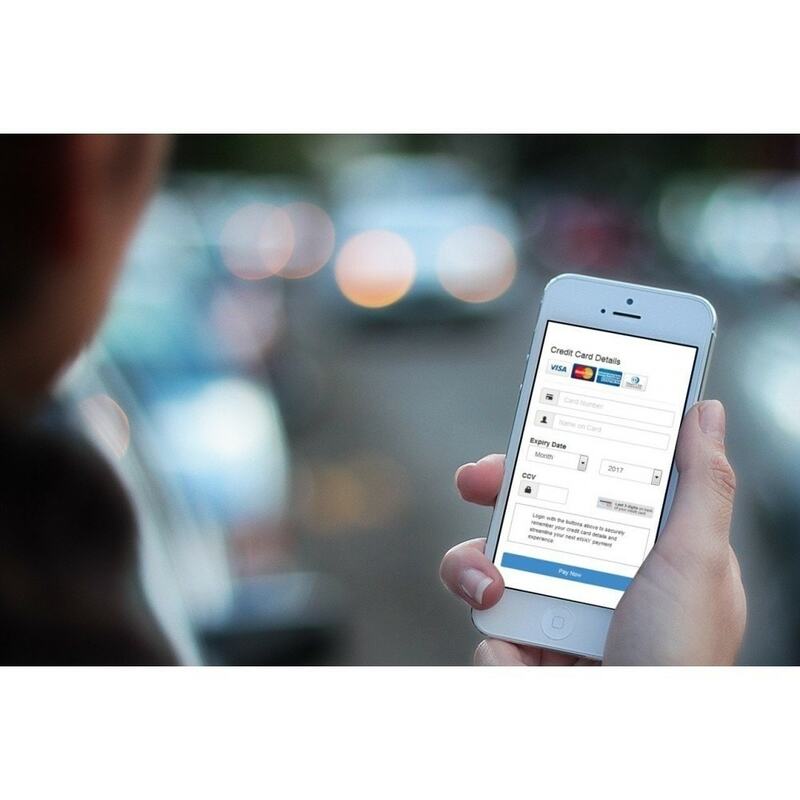 eWAY is changing the way businesses get paid. After all, anyone can provide you with technologies for taking payments. But that’s all they are: technological. eWAY is taking payments further—because we take them personal. Ensure you have an active SSL certificate to use this module. Install the Official eWAY integration via the PrestaShop back office with a just a few clicks! To connect eWAY, it only requires a few simple steps. Navigate to My Account > API Key. Copy and Paste your API Key and API Password into PrestaShop. 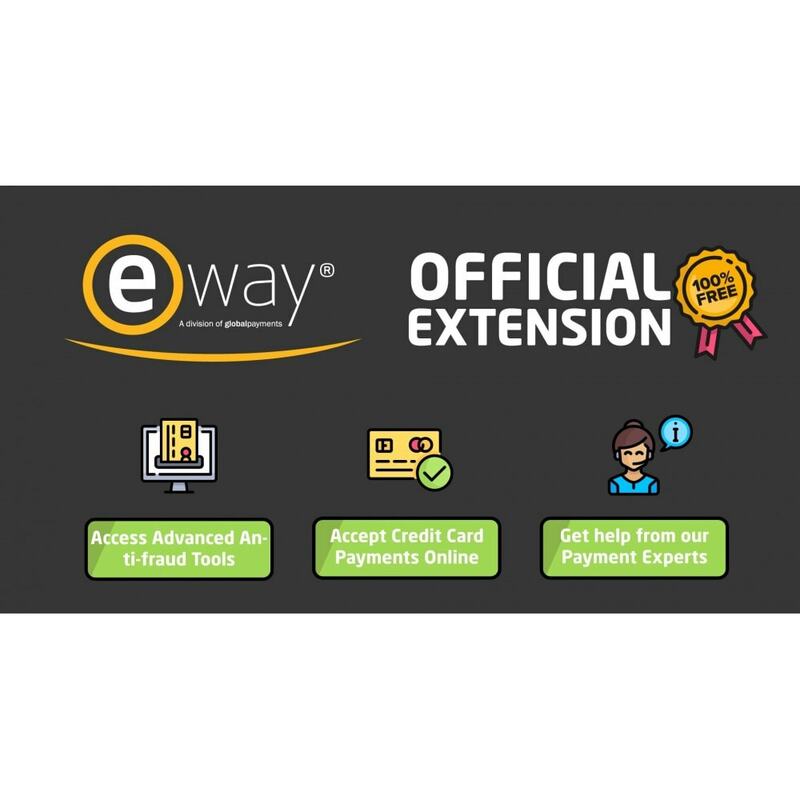 For more detailed instructions visit the eWAY Community here: https://go.eway.io/s/article/How-do-I-install-and-configure-the-eWAY-PrestaShop-extension?